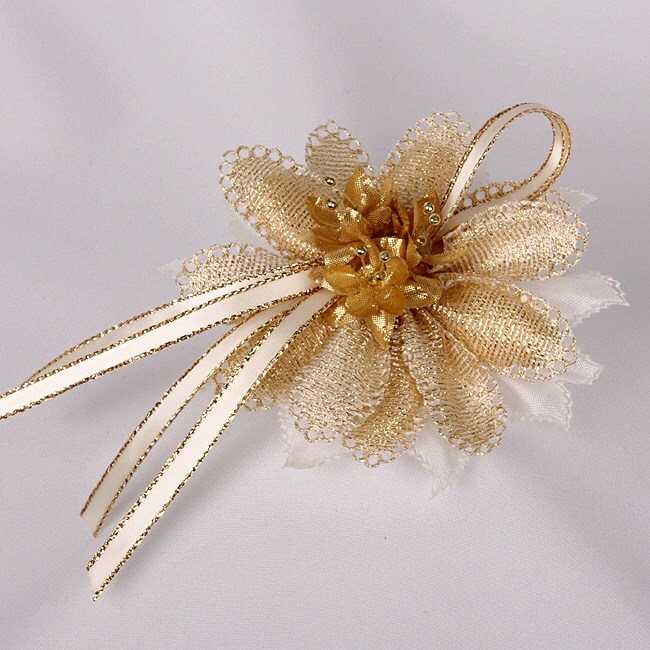 Our elegant gold lame petal wedding favour is a stunning design. The top layer of lurex petals has 5 sugared almonds or chocolate dragees in the petals, finished with 3 beautiful babies breath flowers with gold stems and ivory satin ribbon with gold edge. These elegant wedding favours will enhance any wedding table. 1 layer of organza petals. 1 layer of lurex petal. 3 babies breath flowers in gold. Ivory with gold edge satin ribbon.